One year ago, still as a federal judge, Sergio Moro spoke about the need for a “real plan against corruption.” He endorsed a set of measures proposed by federal prosecutors in 2016 — and signed by 2 million people — but which was shelved by Congress. Now, as Minister of Justice, Mr. Moro has the chance to get his way. On February 4, he presented his “anti-crime law,’ a set of proposals aimed at combatting white-collar crimes, which in large part revisit many of the aspects presented two and a half years ago. The project finally creates a law to determine that prison sentences be carried out after a conviction by an appellate court. This has been one of the most controversial points of debate among Brazilian legal scholars in recent years, especially after former president Lula, the country’s most popular politician, was placed behind bars after a second-degree conviction. The fact that the Supreme Court has pivoted on this issue so many times doesn’t help. Until 2010, the court’s understanding was that a conviction upheld by an appellate court would result in the imprisonment of the defendant. He or she would then have to carry out their appeal process from behind bars. In 2010, however, the Supreme Court decided that the presumption of innocence meant, necessarily, that the defendant should remain at liberty. That interpretation lasted for six years, until the Supreme Court once again radically altered its understanding of the law. Now it could pivot yet again – for the third time in less than a decade. 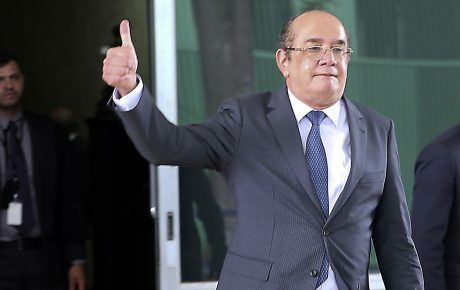 As things stand, most forms of appeal in Brazil’s legal system result in the automatic postponement of the sentence. That will no longer be the case if Mr. Moro’s proposals pass. Higher courts will be able to “exceptionally” suspend some sentences, after pondering whether the moves would be with the sole purpose of avoiding a sentence to be carried out. The project states that, as soon as a defendant is convicted — even in the case of provisional detention — the judge will order the evaluation and auction of his/her properties to compensate for the losses caused by criminal activities. The money will go to a federal penitentiary fund — and if the defendant is later acquitted, he/she will reclaim the amount that was seized. If a conviction comes with a fine, it must be paid “within 10 days after a conviction.” In some cases, defendants will be allowed to pay their dues in monthly installments. Law enforcement agents will be charged with “intentional or negligent excess” if they kill someone while on duty. But their sentences will be able to be cut in half — or even tossed altogether — “if the excess is a result of justified fear, surprise, or violent emotion.” More lenient treatment to cops who kill people in the line of duty is a long-time campaign promise of President Jair Bolsonaro — who even defended that no investigation take place against law enforcement. Defendants who are involved in “reiterated and habitual practices of penal infractions or who are members of organized crime” will not have the right to benefit from furlough programs. The same goes for those convicted of crimes of corruption or those who commit robbery with a lethal weapon or using acts of violence. Defendants who remain members of a criminal gang even after being convicted will lose any benefits of parole and will have to serve the entirety of their sentences within a penitentiary. Mr. Moro wants to tighten up all kinds of communication — including letters — from and to prisoners in maximum security facilities. These institutions will have to be equipped with video surveillance cameras — and even meetings between prisoners and their lawyers will be taped. The content of those meetings, however, will not be admitted as evidence against defendants — except if recordings are made with judicial authorization. The government wants to collect the DNA of every person convicted of violent crimes and store it in a data bank to help in future investigations. Meanwhile, a national ballistics database would be created, cataloging firearms and ammunition used in crimes. Another innovation copied from the U.S. is the use of undercover agents in investigations into drug cartels. Such agents would be authorized to engage in criminal actions — such as selling drugs or other illicit materials — as part of a “blending in” strategy. Infiltrated cops could also be used in anti-money laundering investigations, as well as in cases of gun trafficking. Mr. Moro proposes more lenient rules for international cooperation deals with other countries for investigations related to terrorism and organized crime in general. 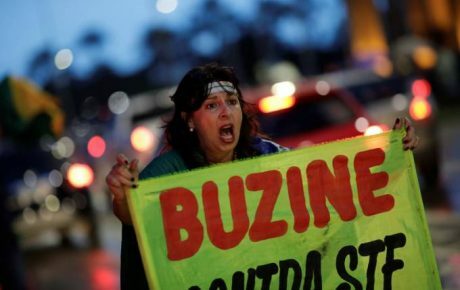 In Brazil, electoral offenses have historically been seen as a minor issue. In fact, when caught embezzling money, politicians and parties are quick to “justify” it by saying it is no more than a campaign financing. The worst-case scenario for such politicians is losing their terms — which rarely happens, due to the morose electoral courts. Now, Sergio Moro wants to make electoral crimes exactly that — crimes. The government’s bill creates rules for whistleblowers and establishes means for protecting them from possible sanctions — such as losing their jobs. There’s even a proposal to give a whistleblower financial compensation for their services: up to 5 percent of the amount of money recovered by law enforcement thanks to their information. In the past, congressmen jokingly said that such an article would regulate a new profession: being a snitch. Pro- and anti-Lula camps are vehement in their beliefs, but whose reasoning adds up? 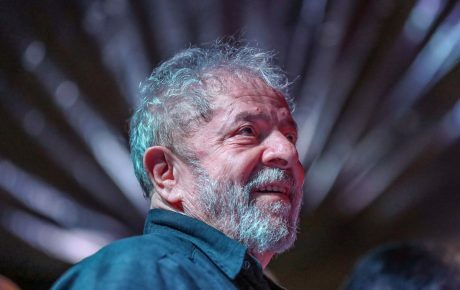 So, will Brazil’s Lula be able to run for president or not?